The first of Merck's annual Future Insight Prize challenges has been announced. 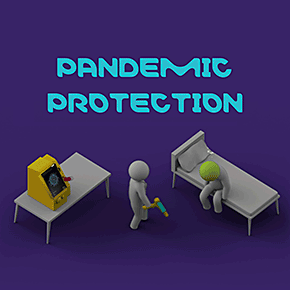 With the Pandemic Protection challenge the focus is on time. Emergence of a new, potentially lethal infection that is easily transmitted from person to person is among the greatest threats to humanity. The risk is increasing due to global urbanization, ease and speed of travel, climate change and the possibility of bioterrorism. Using current technology, development of medical countermeasures would be too slow to prevent many millions, or even billions, of deaths. The dream product starts with a clinical sample of a person infected with an unknown pathogen and produces an agent for cure or to prevent infection of others within a clinically relevant timeframe. The Future Insight Prize puts the vision for ambitious dream products of global importance for humankind into the world and triggers curiosity and creativity on how to make these visions a reality.